Of Peruvian and El Salvadorian descent Kat Aguilar-Smith is a Latina entrepreneur whose experiences have serendipitously positioned her into the entertainment management position she now holds as Chief Operations Officer of the largest Latin dance festival in the World, DCBx. She inherited an entrepreneurial spirit from a very early age by helping her mother run copies to her father as soon as she could walk. Her immigrant parents at that time owned a humble storefront selling artesanias and craft items from Central and South American countries. Her parents having met in Washington DC while studying at local universities were determined to live the “American Dream.” It wasn’t long before the humble family began other business endeavors to build a long-lasting legacy. Kat showed to be an ambitious young lady at a very early stage. At the age of 14, she had begun planning her future by applying to small part-time office jobs close to her high school. She began working for a prominent law firm at the young age of 14 and a half, the legal age limit to work at that time in Suburban Northern Virginia. She excelled at her part-time gig and by the time she graduated from Bishop Ireton College Prep School she was one of the highest grossing students working and attending school. Working at the law firm for several years, Kat learned the valuable tool of automated systems and processes and grew close to her detail-oriented employer. At the age of 20, Kat decided to pursue her true passion in Latin dance. While working now full-time for the law firm, she started to learn and eventually teach Latin dance. Juggling a passion for business and a passion for dance, Kat worked a total of 80 hours a week- 40 hours at her full-time position Monday through Friday and another 40 hours a week teaching dance during the week and full 12 hour days on the weekend. She was persistently focused and driven. Soon after, Kat obtained a position at one of the Nation’s Largest artist management and representation firms while attending George Mason University. She worked closely with the legal and human resources departments and personalities such as Michael Phelps, Mia Hamm, Chris Paul and Susan G. Komen and many others while getting her first glimpse at the entertainment business world. In 2008, the real estate bubble hit the family hard as property values and sales skyrocketed down. She returned to help her father and sister with the real estate brokerage and began implementing procedures and sales tactics into the family business. This further increased her interest in business and shortly after she was recruited by a prominent family development company as the second-hand to the EVP of the company. The development company owned over 56 acres of multi-use development including retail, apartments, and office space. Today, Kat sits on the executive board of the DCBx as Chief Operation Officer. She is married to her entrepreneurial husband, Lee “El” Gringuito Smith Jr. Her adventurous spirit as an entrepreneur is fueled by her dual passion for dance and business. Together they have performed & taught Latin Dance in over 500 cities around the World, teaching more people to dance Bachata than anyone in North America. They have produced Latin & Diversity events for major companies like Microsoft, IBM, ALPHA, GWHCC, Telemundo & Morgan Stanley. 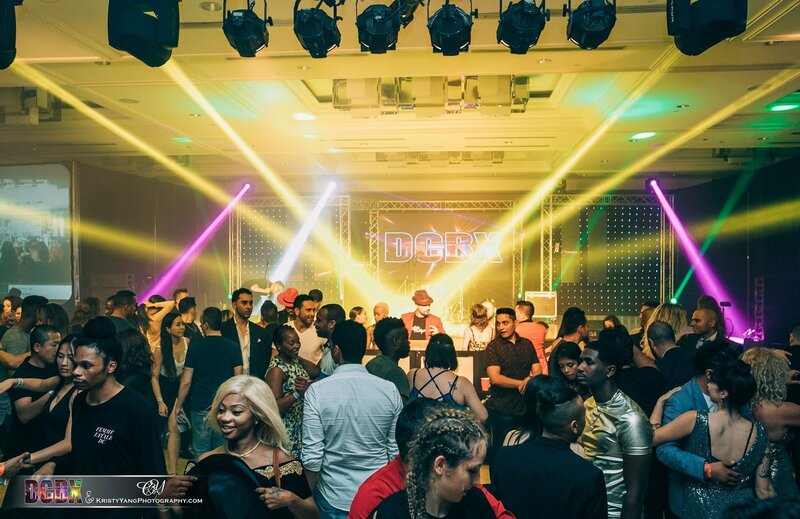 Current projects include DanceEgg.com, revolutionizing the online industry; and DCBC Event Productions, a consulting company on event management. Kat is passionate in helping Latinas realize they can do and accomplish whatever they want and her online learning series is set to launch in 2016.